High quality is the standard at the San Franciscan Roaster Company. 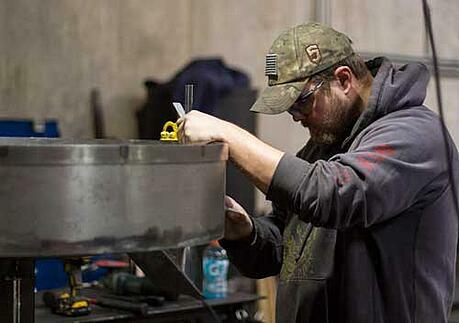 All of our coffee roasters are proudly built by hand in the United States with American-made parts. Our coffee roasters have been American legends of the coffee processing industry for many years. As beautiful as they are robust, our coffee roasters have gone on to be featured centerpieces of coffee houses and roasting facilities across the country and all around the world. The unmistakably classic styling along with a stout, solid build accented with solid brass fixtures and decorative side plaques makes San Franciscan Coffee roasters stand out from the rest. Our coffee roasters provide unbridled durability and ease of maintenance which makes them the perfect investment for coffee business owners who are searching for peace of mind in a quality product. Our coffee roasters are built for serious coffee professionals. Choose the San Franciscan Roaster Company, today! At the San Franciscan Roaster Company, we understand the legacy and importance of classic designs. These designs lead us to where we are today, guiding the way and shining a light for future generations. For this reason, every San Franciscan™ is designed as a drum roaster. Drum roasting provides a higher degree of control to the roastmaster. The drum vs air debate has been going on for decades. If you’d like to take a look at what our roasters have to offer, visit our headquarters in Carson City, Nevada. We offer hands-on training to those who purchase roasters from us. This way, you’ll be able to learn how to use your new San Franciscan™ to the best of your abilities. Coffee roasting is an art form. As such, roastmasters need to be unencumbered in order to produce true art. 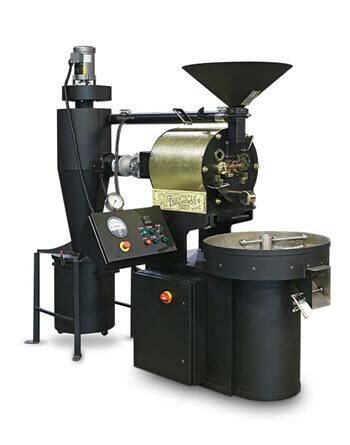 More often than not, modern coffee roaster machines become too reliant on automated mechanism and computerized assistance. The art of the craft has turned into the world’s slowest video game. Many roastmasters now sit behind a monitor and wait for the bars to reach a certain level on the screen. Although data-logging technology is still incredibly useful and pertinent to the art form, it may have strayed too many from the path. San Franciscan™ machines are designed to allow roastmasters to use their sense of smell, sight, and eventually, taste to craft the right roast. We understand the importance of data-logging technology so you’ll be able to make use of third-party software to log your coffee roasting escapades. By perfectly marrying modernity with classic design we’re able to yield a product that will last for generations. 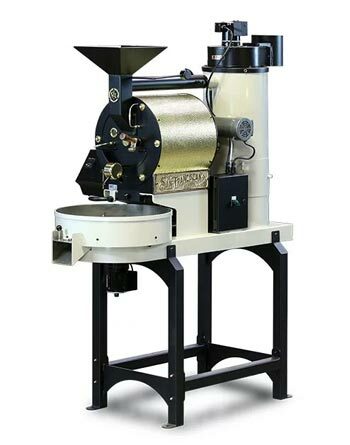 The best-made sample/profile roaster on the market, our SF1 roaster has the same workmanship and roasting characteristics as our larger machines. The SF1 can roast 500 grams of green coffee per batch with up to three batches per hour. It’s perfect for profiling and roasting high-end micro-lot boutique coffees. 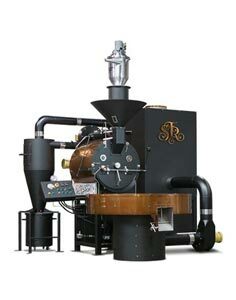 Our SF6 is one of our most popular roasters. This 6lb/3kg roaster is robust and attractive, making it the perfect roaster for smaller coffee houses and farmers markets. The newest addition to our lineup, the SF10 roasts up to 10lbs/5kg without the need for afterburners. 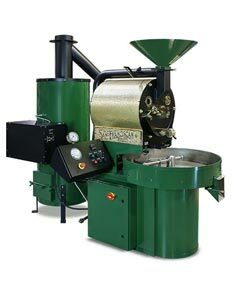 Due to its roasting capacity, the SF10 gives coffee roasters the ability to bypass the need for permits for emissions. 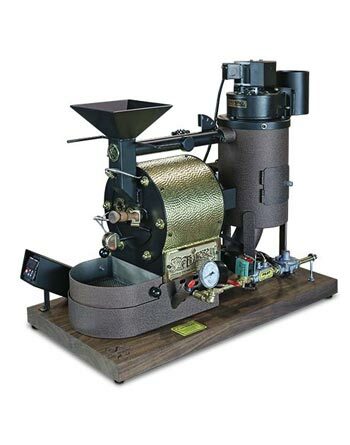 This 25lb/12kg roaster is a beautiful centerpiece for any coffeehouse or roasting facility. It’s meticulously handcrafted to your exact specifications in the USA using only the best locally made components. This 75lb/34Kgs roaster is among the quietest roasters in the world for this size. Robust, yet easy to handle and responsive to the most discerning of roast-master controls. It can be fitted with a profile following controller as well.